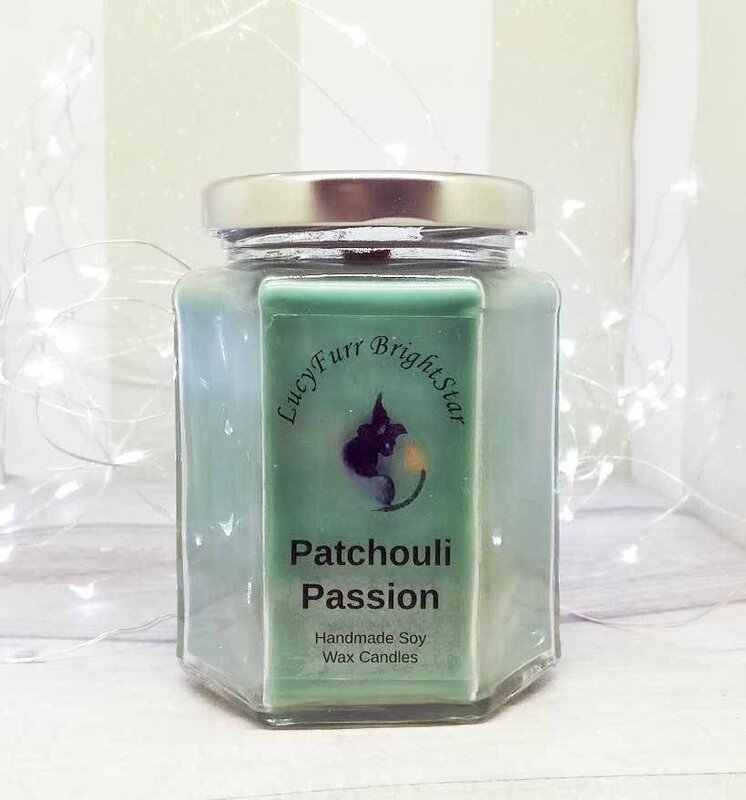 Made with soy wax and wood wicks with a very lovely earthy smell of patchouli and cedarwood in a glass jar container. Please note all of this candles are handmade from natural materials whenever possible and therefore every one is unique and there might be slight variations in colour or appearance. It will burn for minimum of 30hours. For optimal burn make sure to let the candle melt pool reach the edges of the container on the first burn. To make you candle burn for longer and without smoke make sure to keep the wick nice and trimmed before you light it. Frosting/Blooming - If you notice any type of cristallisation around the container, do not worry, it is a natural reaction of soy wax, and it does not affect burning or scent in any way.